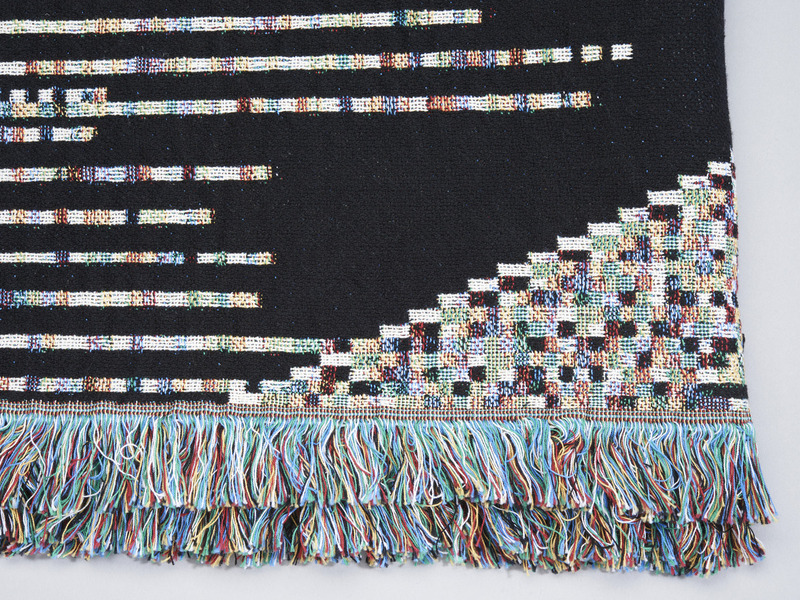 The Dark Code Throw from Glitch Textiles kind of reminds us of what your brain may look like after staying up way too late programming and listening to the Hackers soundtrack. 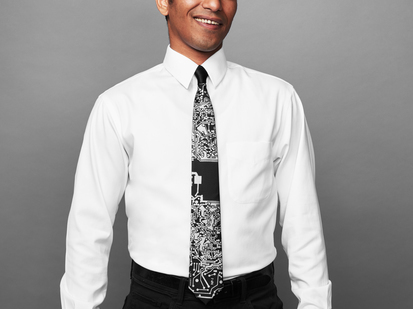 And now you can wear it, or cuddle with it, or drape across your furniture. 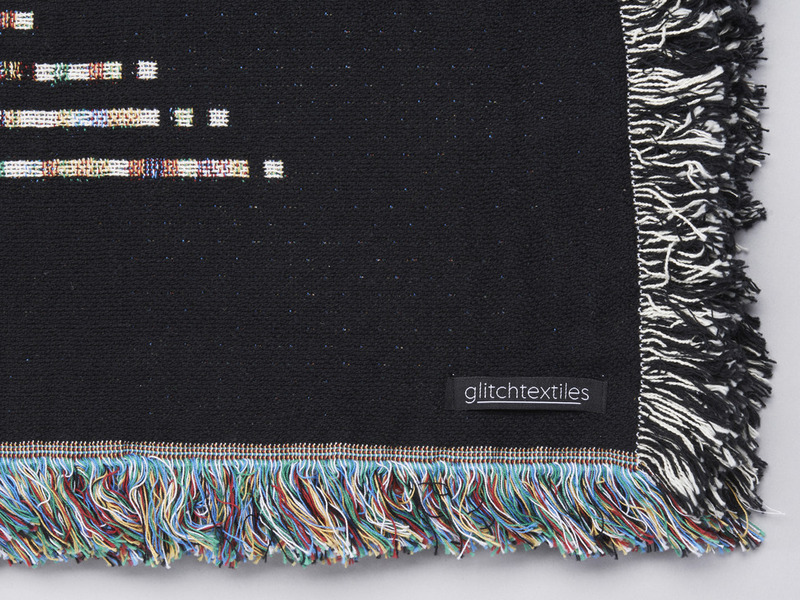 Glitch Textiles' unorthodox digital techniques transform subtle digital structures into visually stunning woven throws. 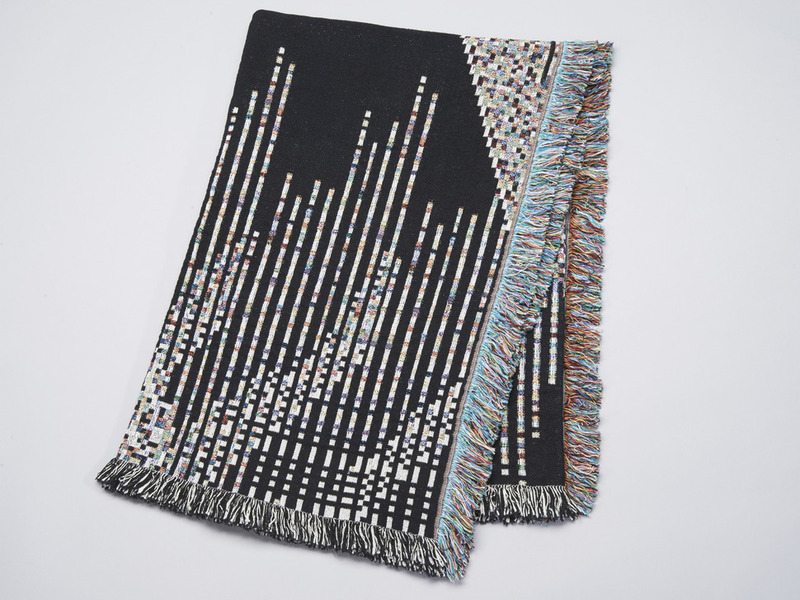 The throws measure 53" x 71" (134.6cm x 180.3cm) and are made from 100% cotton in the USA.